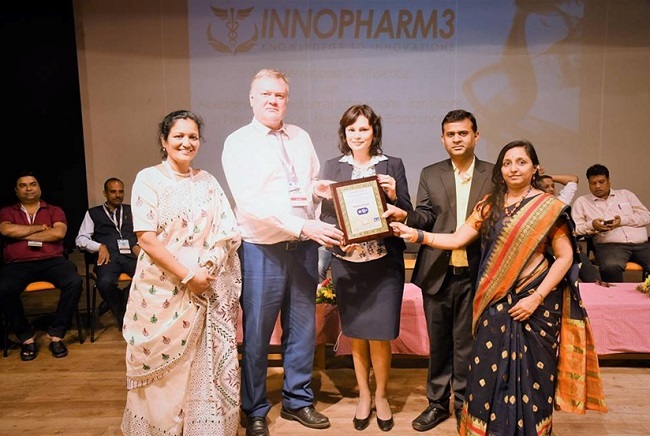 The 3rd International Conference on Academic and Industrial Innovations: Transitions in Pharmaceutical, Medical and Biosciences “Innopharm 3” was held in Goa, India on October 22 to October 23, 2018. 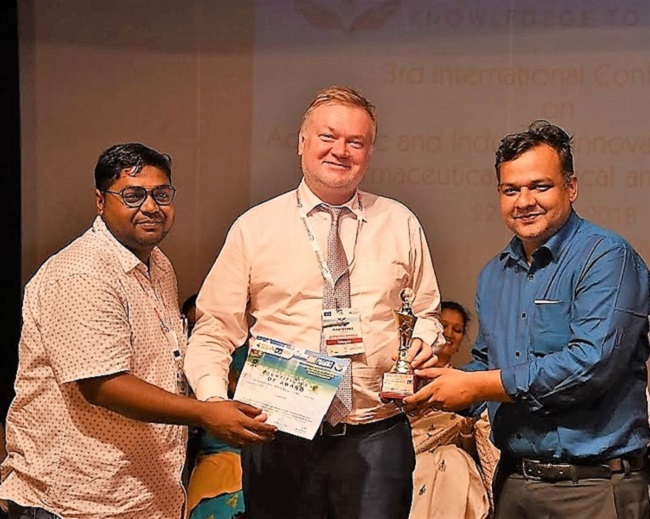 The event was organised under the auspices of Innovare Academic Sciences (IAS) in collaboration with Paramita Health Care Society, Asian Journal of Pharmaceutical and Clinical Research (AJPCR) and International Journal of Applied Pharmaceutics (IJAP). The directions of the conference included but were not limited to the following topics: development of new medicines, drug delivery, regulatory issues, research in the field of pharmacology, pharmaceutical chemistry, biotechnology, etc. 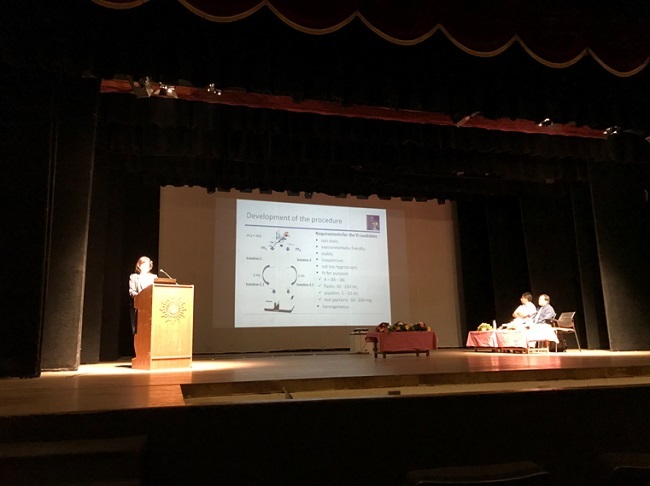 The conference gathered more than 600 participants from 28 Indian states and 11 countries, who presented 105 oral and 259 poster presentations. 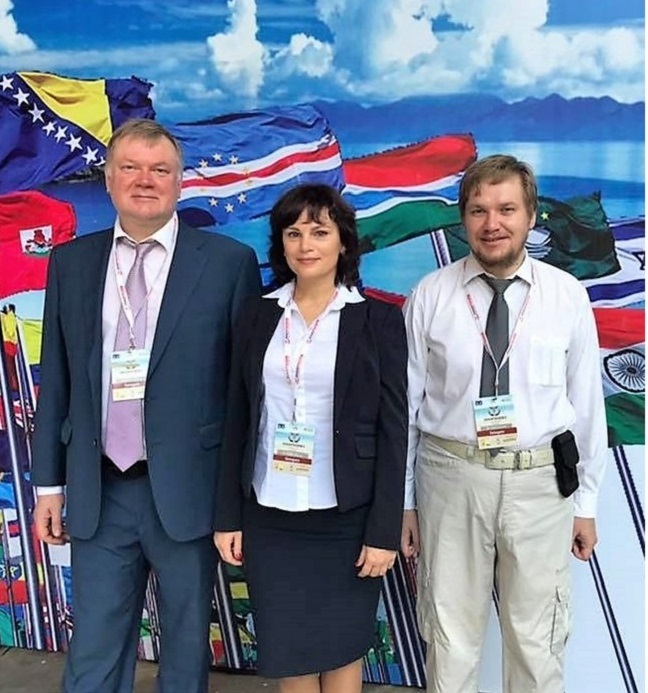 The delegates to the conference from the Ukrainian Scientific Pharmacopoeial Center for Quality of Medicines (USPhCQM) were Dr Dmytro Leontiev – Deputy Director of Science, Head of the Department of Validation and Reference Standards, Dr Natalia Volovyk – Deputy Head of the Department of Validation and Reference Standards, Mr Denys Leontiev – Scientific Officer at the Department of Instrumental Analysis Methods. 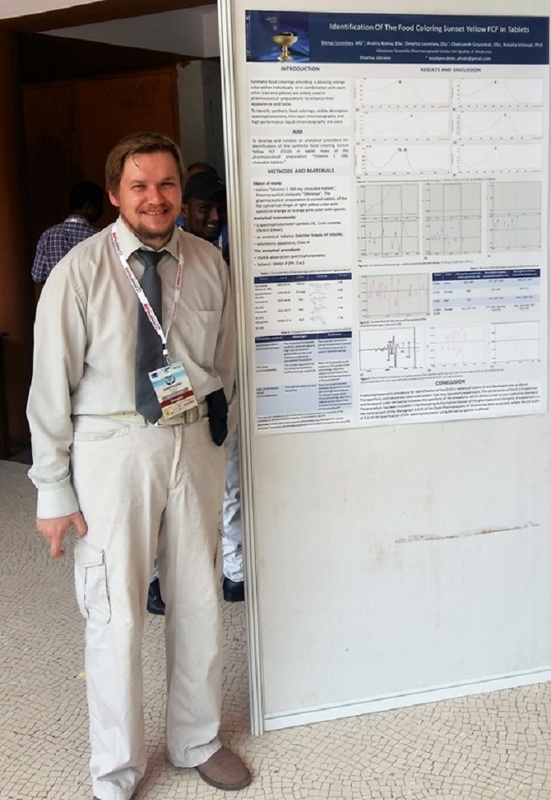 Dr Dmytro Leontiev presented a poster devoted to the validation of the procedure for spectrophotometric determination of desloratadine in tablets in accordance with the concept of uncertainty (co-authors: a postgraduate student at National University of Pharmacy, engineer of R&D Department at PJSC SIC “Borshchahivskiy CPP” Mr Vasyl Petrus, and employees of USPhCQM – Dr Natalia Volovyk and Dr Oleksandr Gryzodub). 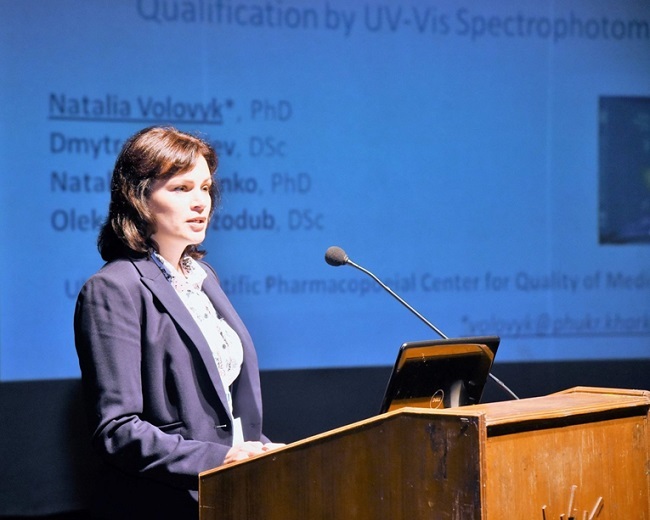 Dr Natalia Volovyk delivered an oral presentation on the development of a procedure for personnel qualification by spectrophotometric method (co-authors: Dr Dmytro Leontiev, Dr Natallia Denisenko, Dr Oleksandr Gryzodub). 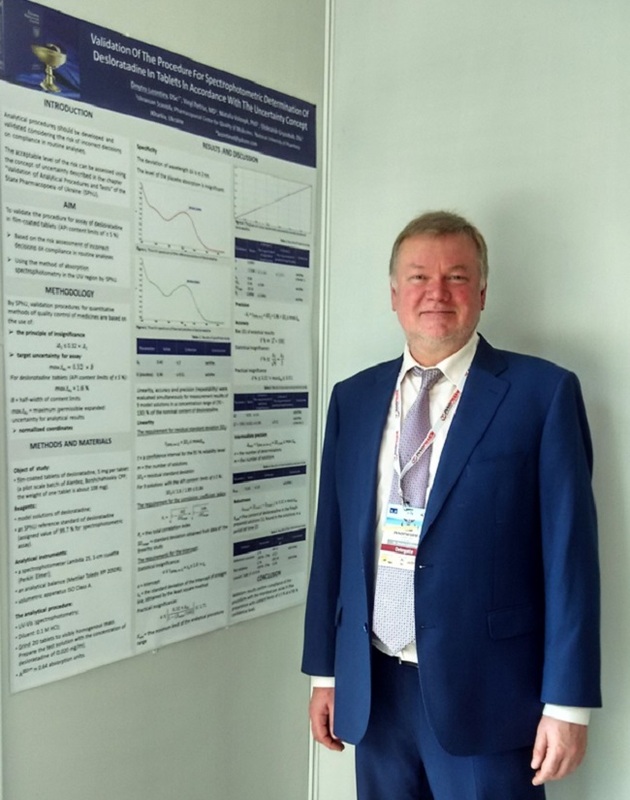 Mr Denys Leontiev presented a poster on the identification of the food colouring FCF in tablets (co-authors: Dr Andrij Kotov, Dr Dmytro Leontiev, Dr Oleksandr Gryzodub and Dr Natalia Volovyk). 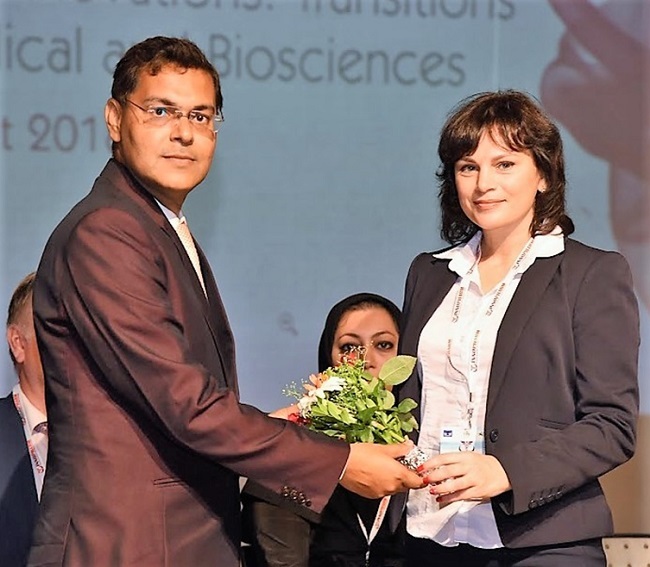 The organisers of the conference thanked the delegates from the State Scientific Pharmacopoeial Center for Quality of Medicines for participation and awarded them a plaque and other souvenirs as mementoes. Moreover, Dr Dmytro Leontiev was awarded a memorable cup for the best poster presentation in the category “Chemistry” (1st place).